To celebrate 50 years, Insect Lore has a created a NEW limited-edition Butterfly Farm! Insect Lore has been successfully providing children and adults alike the wonder of metamorphosis for 50 years! 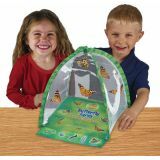 Our newest butterfly kit includes a one-of-a-kind Butterfly Farm habitat, everything you need to raise your own caterpillars, and a voucher to redeem for your free cup of caterpillars at any time! There is no redemption fee and shipping is included. The voucher never expires. Read Me voucher to redeem for your cup of five baby caterpillars with all the food they need at no additional fee. Shipping is included. Deluxe Chrysalis Station Log.This item comes with your Cup of Caterpillars when your voucher is redeemed. We cannot ship to Hawaii, Mexico, Canada or Puerto Rico. 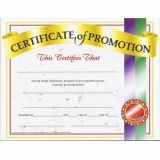 Certificates of Promotion are a great way to celebrate an employees success to their new position. 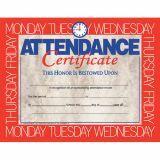 These blank certificates can be handwritten or printed with our downloadable template. They are available in a pack of 30 and measure 8.5" x 11". 9" x 12" Dry Erase Boards, Colored Pens, and Erasers.Each set has 12 boards, 12 erasers, and 12 pens (2 blue, 3 green, 3 red, and 3 purple). Ideal for quick response lessons and games. 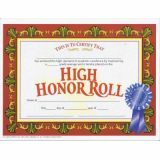 High Honor Roll Certificate awards students who have achieved academic excellence. This authentic Hayes certificate features a red background and blue Academic Excellence ribbon. They can be personalized with our downloadable Microsoft Word template. There are 30 in a pack and they measure 8.5" x 11". 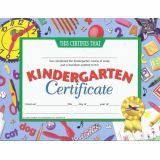 Kindergarten Certificates are a great way to celebrate completing kindergarten with your students. These will become a keepsake for both the parents and students for years to come. 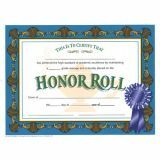 The certificates can be handwritten or printed with our downloadable template. They come 30 in a pack and they measure 8.5" x 11". Little Skill Seekers: 1-2-3 Draw! 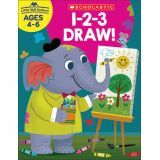 Sharpen hand-eye coordination and fine-motor skills with this fun workbook! These important skills set the foundation for learning–this product helps children develop and hone these skills. 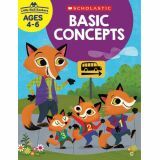 Children follow step-by-step guides to draw adorable animals and objects and then color their pictures. As children progress through the activities they'll develop imagination, dexterity, and confidence in their fine-motor skills. Help your little skill seeker build a strong foundation for academic success. 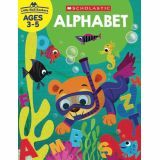 Make learning the alphabet fun with this colorful workbook! Recognizing letters and letter-sound relationships are important emergent literacy skills–this product helps children improve those skills. Children practice writing letters and begin to associate letters with sounds. As children progress they'll hone their ability to identify letters and their sounds, and begin to develop the ability to identify words. Help little skill seekers begin building a strong foundation for early literacy. Sharpen hand-eye coordination and fine-motor skills with this fun workbook! These important skills set the foundation for learning—this product helps children develop and hone these skills. 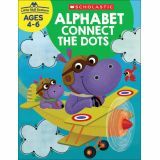 Children connect dots in alphabetical order to reveal a picture and then color it in. As children progress through the activities, they'll develop dexterity as well as confidence in alphabetic sequencing. Help your little skill seeker build a strong foundation for academic success.